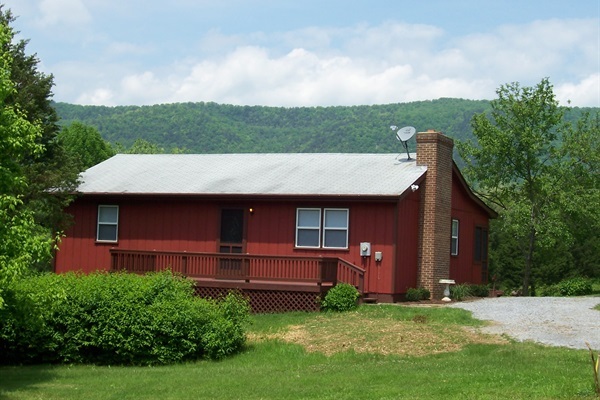 Bear Bluff is located on 3 acres on the Shenandoah river minutes from Luray, Virginia. You can relax on the screened in porch and enjoy the beautiful mountain views or you can enjoy fishing, canoeing, kayaking, tube down the river or BBQ and picnic on the riverfront. The cabin has a new kitchen, new bathroom, ceramic tile and hardwood floors. We have adorned it with beautiful leather furniture in the living area and cherry bedroom furniture, and new top-quality mattresses. Whether you just need to get away and relax or to celebrate a romantic weekend, Bear Bluff is for you!